Work is set to begin on the next phase of the £320million Chesterfield Waterside Scheme. 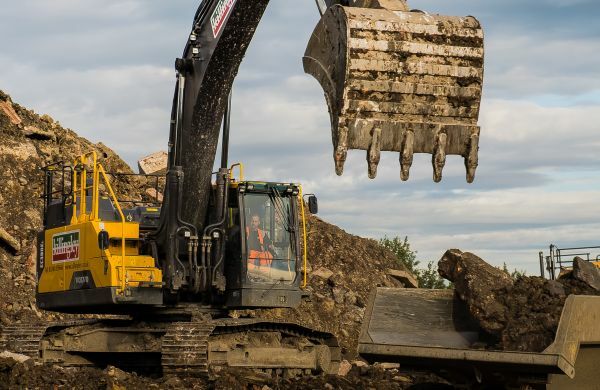 Chesterfield–based earthworks and landscaping contractor NT Killingley Ltd has been appointed to undertake the site enabling works for phase one of the Basin Square character area, which incorporates the former Trebor site. The works are expected to take around three months. Killingley is due to commence works on Monday 5 September. The enabling works will prepare the site for construction of a hotel, retail units, apartments, a multi-storey car park and offices next year. Following the award of a £2.7million Sheffield City Region Infrastructure Fund (SCRIF) grant earlier this year, the enabling works for the development’s £75million Basin Square scheme were able to be brought forward by the developers, Bolsterstone Plc. 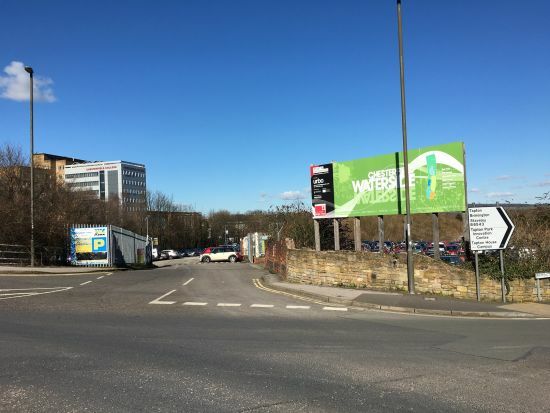 A planning application has also been submitted to Chesterfield Borough Council by Bolsterstone for illustrative proposals, indicating the height and massing for the buildings to be constructed in Basin Square. The exciting mixed-use first phase of Basin Square is of a scale and quality not previously seen before in Chesterfield and will elevate the town’s profile. Once complete, Basin Square is expected to be home to approximately 300 jobs. Chesterfield Waterside is recognised as being one of the UK’s largest regeneration projects, and is being developed by Chesterfield-based Bolsterstone Plc working in conjunction with Arnold Laver Group and Chesterfield Borough Council. Additional progress with the Chesterfield Waterside scheme includes the recent granting of planning permission to replace the road bridge over the river Rother on the former Laver timber yard site which will serve The Park residential development, and the submission of a planning application for the works required to re-open a stretch of the Chesterfield canal. The first phase of residential housing at Chesterfield Waterside, comprising 19 new homes on part of the former Arnold Laver DIY site on Brimington Road, was completed in 2015 on behalf of Great Places Housing Association, and the properties are now fully occupied. You can keep up-to-date with progress on the Chesterfield Waterside development at www.chesterfieldwaterside.com.